1. Hold your finger on the story to pause it. I usually have to do this when I can’t read the included text fast enough. 2. Tap on the story to skip it. This is especially handy if you’ve seen the first couple of stories your friend posted but not the last couple and you don’t want to re-watch the entire feed to get to those new stories. 3. Swipe right or left on the story to move to the next friends’ story. Clicked on the wrong story? No problem, swipe to move on. 4. Click on ‘send message’ to respond to the story. 5. Swipe down to exit stories. 1. 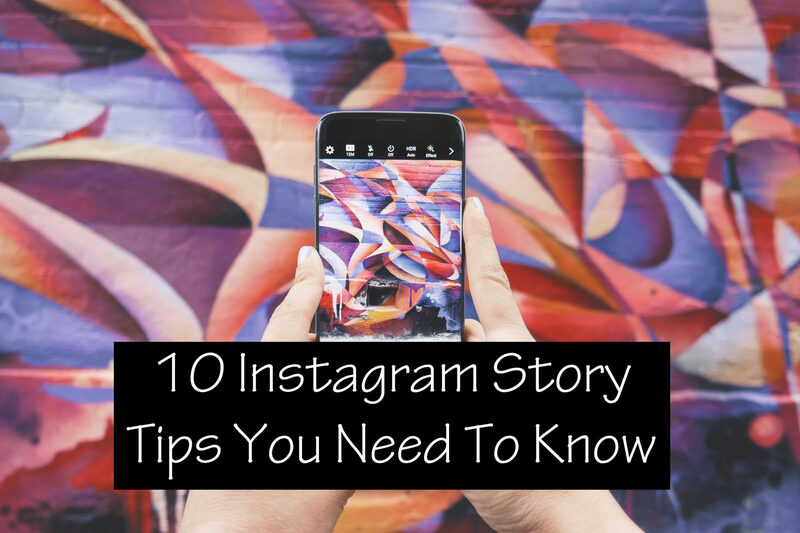 Tap the ‘plus sign’ in the top left corner of your feed to create a story. 2. Tap the white button to take a photo or hold it down to take a video. Note, videos are only one minute long. 3. Tap the settings icon (it looks kind of like a sun) to hide the story from select people and change the message reply options. 4. Tap the pen icon for three different inking options (and multiple color options.) When you use the pen you ‘write’ directly on your image. 5. Tap the Aa icon to type a caption on your image. It’s really pretty simple and although Instagram stories doesn’t have as many features as Snapchat, I prefer it. Mostly because I frequently use Instagram so Snapchat would be just one more app taking up space on my phone and one more app I have to switch between to post things. Have you tried Instagram stories yet? Do you like it? Thank you for the tips, I still had not figured out Stories so I’m thankful for the explanation! Thanks for sharing with Small Victories Sunday Linkup, pinned to our linkup board. Thanks for the tips! I just started using Instagram Stories this weekend. Thank you for linking this great resource up with Small Victories Sunday! Thanks for the tips! I’ve only done one story but I’m not particularly active on Instagram now. I’m going to be working on a plan/deciding a theme for it soon and rolling with it. So I hope to use these tips then!